Oh this is a gorgeous card creation! 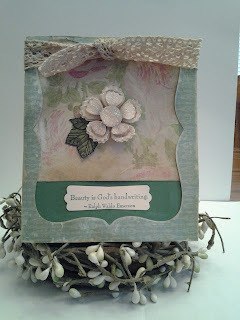 I love the color palette you have used - so earthy and wonderful! 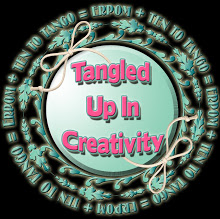 The die cut center is a fabulous design - love LOVE love the sentiment (he's one of my faves!) Beautifully done! Welcome to the TUIC, so wonderful to have you on board! Beautiful card Tammy. I love the background paper and how you popped the flower. I like how you used the negative from your die. I hate wasting pretty paper too! The muted colours of this are so pretty. Beautiful! Your negative die cut makes a beautiful frame for this gorgeous blossom!! What a lovely card, Tammy!